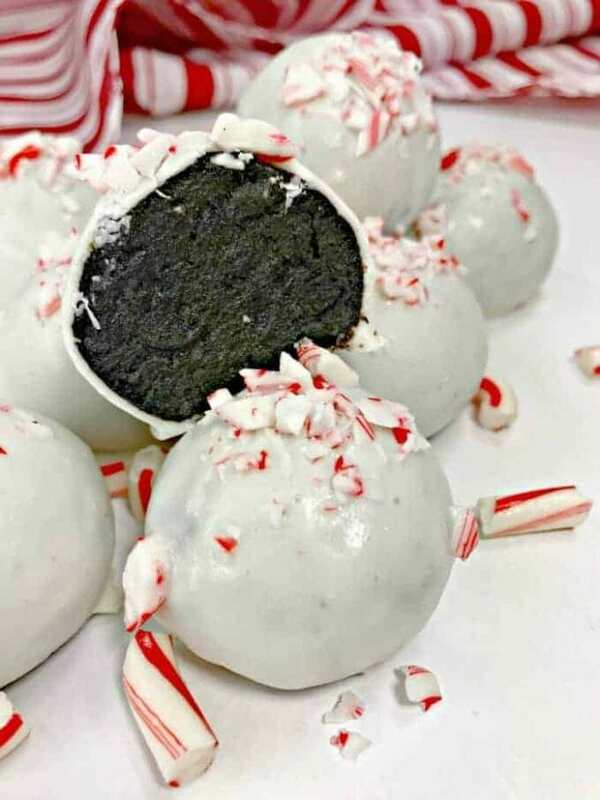 These Peppermint Oreo Truffles are incredibly delicious and easy to make with only 5 ingredients. 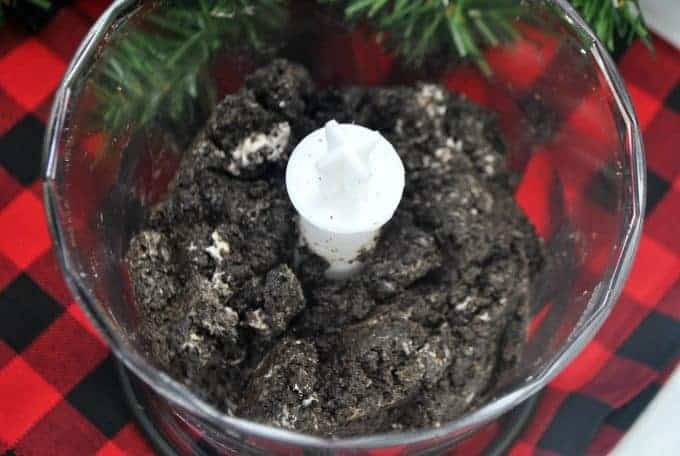 All you need its Oreos, cream cheese, peppermint extract, chocolate, and candy canes and they are no bake! Peppermint desserts are a must for Christmas. 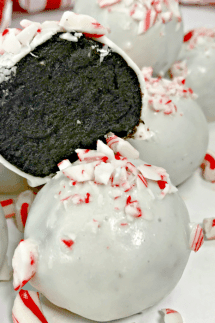 These Peppermint Oreo Truffles are right up there with our DIY Peppermint Spoons and our Oreo Peppermint Bark recipes! Truffles are the chocolate lovers heaven! They are rich, soft, creamy and just melt in your mouth. This is a great dessert to make with kids and the fact that they are no-bake means that they are also quick and easy! Another thing I love about this truffle recipe is that you can make them in advance and keep them in the fridge for up to five days before you need them. This comes in handy when you are running around with all of the holiday craziness and you find a few minutes to make them! Then they are ready to go when you need them! The best part of making truffles is that they are so easy! They are no bake and are pretty hard to mess up! Prepare a baking sheet by covering it with either parchment paper or a silicone baking mat. The first step is to crush up the Oreos. You can do this by placing them in a plastic bag and crushing them with a mallet. But it is much easier if you have a food processor or blender. Just throw the cookies in there and pulse until finely ground up. Next, add in the cream cheese and peppermint extract and continue to pulse until they are combined and smooth. Once the mixture is complete, take small cookie scoop (or a spoon if you don’t have a cookie scoop) and scoop the dough into approximately 1-inch balls. Roll it up firmly in your hands and place on the prepared cookie sheet. Place in the freezer for at least 1 hour. Follow the instructions on the candy melt packaging (melt either using a double broiler or in the microwave). Pour melted chocolate into a small bowl. Dip the Oreo Cookie truffles into the bowl of melted white chocolate and let the excess chocolate drip off. Then top with crushed candy canes. Let the chocolate firm up before serving. 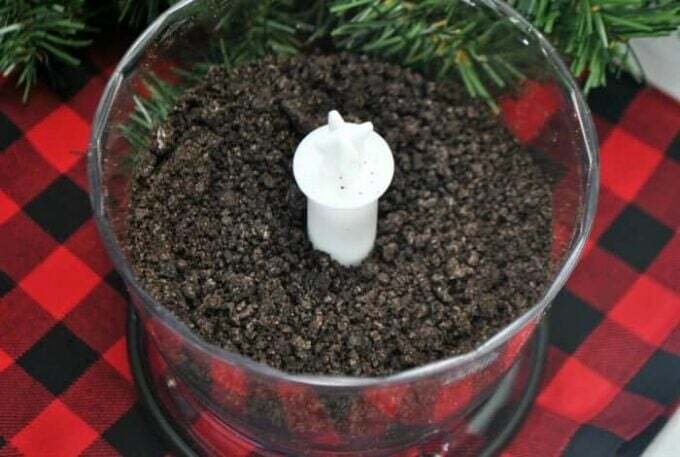 Place the Oreo cookies in the bowl of a food processor or blender and pulse until finely ground. Follow instructions on candy melt package to properly melt the chocolate until smooth. Remove Oreo cookie truffles from freezer and dip in melted chocolate. Allow chocolate to harden before enjoying! These are one of our favorite holiday treats. 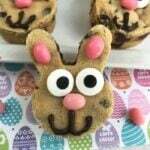 So easy to make and everyone gobbles them up! 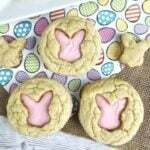 I’ve made your recipe and these are SO GOOD! Adding this to my Christmas candy list. Thanks! I adore this one for the holidays- these are so pretty!